Eight years later, Philip Cheah goes to Kazakhstan again for the 3rd Eurasia Int'l Film Festival. The city of Almaty sparkles with wealth and numerous malls and the region's Central Asian cinema is excitingly productive. Eight years ago, it was cold and grey, the films were never screened on time and a Kazakh character actor almost got me drunk. And I nearly threw up on the deck of a boat when we sailed on the big Almaty lake. So I arrived at the 3rd Eurasia International Film Festival ( 25 Sept - 1 Oct) in Kazakhstan with some trepidation. No more horse meat, I swore under my breath when I attended the first banquet. Of course, I ate some. It is a national dish after all and a well-known new wave Kazakh director poked me in the ribs and said: "Eat some more. It's good for manhood." Hmmm, there must be some "riding" metaphor here. er..I mean the films are really great too!! Since following Central Asian cinema from 1988 when Rachid Nougmanov's The Needle screamed the beginning of Kazakh new wave; Darezhan Omirbaev's Cardiogram (Kazakhstan) took the Best Asian Film prize at the 9th Singapore Int'l Film Festival (1996) while Aktan Abdykalykov's Beshkempir (The Adopted Son, Krygystan) repeated the feat when it won the Young Cinema Award at the 12th Singapore Int'l Film Festival (1999). Sadly the Kazakh new wave is no more. The rock star, Victor Tsoi (of Korean descent), who played in the Needle, passed away shortly after the film in 1990. The director, Rachid Nougmanov made the interestingly weird and surreal The Wild East (1992) and this film sort of bookended the new wave. Interestingly, Nougmanov never made anything else. But his presence is so strong that the festival invited him over anyway. His son plays rock guitar now, he told me. That young rock spirit is sorely missing now so when Zhanabek Zhetyruov's Notes of a Travelling Inspector (Kazakhstan, 2006) took the Best Film Prize in the Central Asian Competition, it wasn't surprising. The film is nicely made though it borders on being old-fashioned. Its tale of a philandering son who works as a travelling railroad inspector while depending on his blind father to tell him which parts of the track need mending, is nostalgic and heart-warming. But it doesn't go much further than that. You could say the film runs out of tracks to run on. Damir Manabai's Kek (Revenge, Kazakhstan, 2006) which won a Special Jury Prize for Best Cinematography is pretty standard fare as well. Basically a horse-riding action film of a couple who want to be together despite their family's wishes, the film is cleanly shot with polished action. Manabai has seen better days with his classic Surzhekey, The Angel of Death (1991). Amanzhol Aytuarov and Satybaldy Narymbetov's Steppe Express (Kazakhstan, 2005) is a step up (pun intended) and it won a Best Acting prize in the Central Asian competition. The film takes a Western-man-meets-Oriental-girl theme and reverses the exoticism. Here, the French man is exoticised. The film, after all, isn't really about him. It's about the girl's relationship with her father, who at first resists their romance for fear of losing her but who then approves the relationship to facilitate the marriage. To his horror, the French lover has no plans to marry his daughter but still takes her back to France. The film then enters the next story arc, that of the new Kazakh generation's separation from their land and culture. When the father dies many years later, the daughter returns with her son. After the funeral rites, the son wants to stay but the daughter insists on bringing him away. Interestingly, Steppe Express had no foreign co-production funding which perhaps explains why the film is so faithful to local culture. Steppe Express strongly contrasts against Nurbek Egen's The Wedding Chest (Krygystan, 2006) which won a Special Jury Prize in the Central Asian section. Well-shot and nicely art directed, the film has a French girl who meets the family of her Krygys husband. The drama relates to the family clan's opposition to the marriage. Wedding Chest had several foreign funding partners and it shows. The local flavour of the film tends to be exoticised - cultural ceremonies, landscape, costumes etc. Abdulla Karsakbayev My Name is Kozha. During a critics seminar on East-West dialogue held at the end of the festival and moderated by the festival's Artistic Director Gulnara Abikeyeva, a Western scholar proposed that the terms "East" and "West" are outdated, that a new paradigm had to be constructed. Well, excuse me, but shifting the terms of reference merely mask the same issues. The terms East and West exist to show the gulf of knowledge and understanding, that there is so much to know about that we don't. Removing the terms East and West leaves us with other similar problematic terms such as local and global. Even for us Asian critics, the Central Asian cinema terrain leaves much to uncover. We are barely scraping on the surface. The Eurasia festival is crucial in bridging this gulf of understanding. 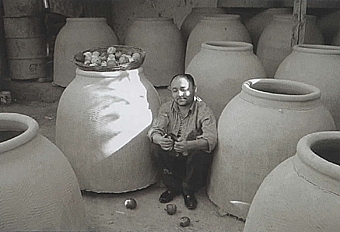 For example, this year's essential programme was the Retrospective of Abdulla Karsakbayev (1926-83). Without the Eurasia festival, we wouldn't have easy access to the films of Karsakbayev, one of four founding fathers of Kazakh cinema (along with Shaken Aimonov, Sultan Khodzhikov and Mazhit Begalin). Karsakbayev worked in the difficult period of the Soviet times which imposed strict censorship. Yet his films were always rebellious, even his debut work, My Name is Kozha (1963). Told as a children's film, Kozha is a playful schoolboy who perpetually causes problems for his teachers. Yet his integrity keeps him honest and innocent. Stylistically, Karzakbayev uses animation and a fluid editing style that keeps this film remarkably fresh. It's no wonder that the West only discovered this film four years later in Cannes 1967 and still awarded it an Honourable Mention. 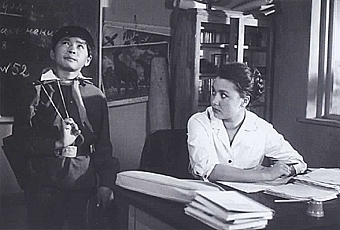 Disturbed Morning (1966) continues this rebellious streak and Karzakbayev makes a film that both barely escaped the scrutiny of the Soviet censor and spoke to the national pride of Kazakhs. In 1918, the Commissar of a small Soviet special force detachment sets out to capture a Kazakh rebel leader. Himself a Kazakh, the Commissar succeeds in catching the rebel but at a great cost to his troop. The rebel escapes with the Commissar in chase. This time, however, his life is saved by the rebel leader. By doing so, the film arouses the sense of nobility and Kazakh pride. The historical background also reminds the Kazakh audience of Soviet repression and the value of resistance. It wasn't surprising therefore that Karzakbayev found it difficult to find work for many years. Shot as an Eastern, the deserts and mountains of Kazakhstan gives John Ford's Monument Valley a run for the money. Karzakbayev's award-winning A Chase in the Steppe (1979) is in the same mould as Disturbed Morning. But the film is more conventional and all the shades of meaning in Disturbed Morning are sorely absent here. This retrospective was sadly quite poorly attended. Yet this is exactly why the festival has to carry on. While the first Eurasia was held in 1998, it was very distressing that the second edition only took place in 2005. It's therefore encouraging that a year later, the third Eurasia was organised. For the sake of building a local audience for cinema, the annual organisation of a film festival maintains the habit and momentum for watching films. For the sake of the Kazakh film industry as well, it is important that the audience sees the attention its local film is accorded on an international level. Finally, for the sake of the Central Asian region as a whole, Eurasia is important. For example, Kamara Kamalova's Road Under the Skies (Uzbekistan, 2006) which took a Best Director prize in the Central Asian section, has now garnered international recognition. A tale of love and misfortune, the film's surreal scenes of colourful but abstract local mythology smacks of the master, Sergei Paradjanov. And even if Yelkin Tuychiyev's The Spring (Uzbekistan, 2006) didn't pick up any prize, it was highly rated by the international critics. The film's tale of a woman unsure of her imminent wedding leads her to encounters with couples with wretched relationships, works through gentle humour and irony. Oh yes, I forgot to mention that Steven Seagal was the guest of honour. But really, that's beside the point of this festival. Note: My heartfelt thanks to Dinara Ismagulova who faithfully translated many of the unsubtitled screenings.